All the elderly residents were asleep in their beds, dinner long over, the dishes done. But the Robles family couldn’t sleep. It was windy and dark the night of Oct. 8, 2017. The power went out, twice. Then, around 1 a.m., the phone at the Golden Villa assisted living home in Santa Rosa started ringing. Charlie Robles answered it. He heard only the word “evacuate," but he couldn’t understand why. Then he and his wife Cristalyn looked outside. “We saw the bright mountain, and we knew it was fire approaching,” recalls Charlie. 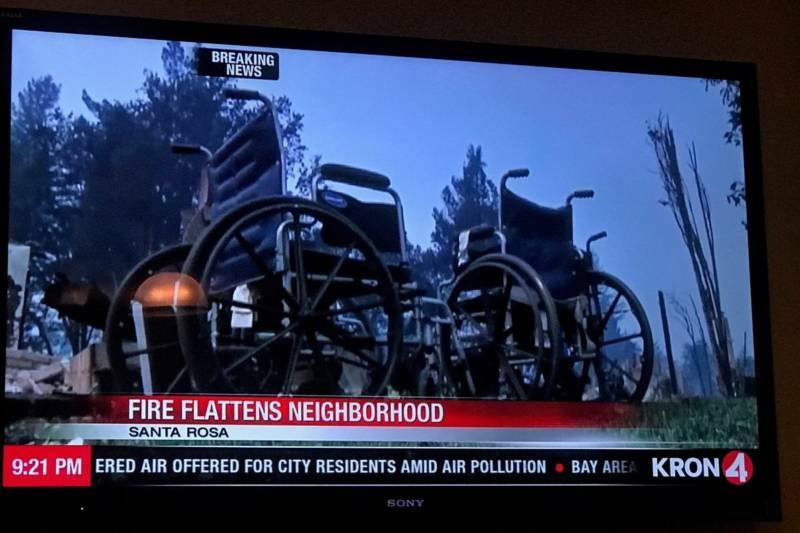 The care home was a tiny facility, just four residents sharing a duplex on a residential street in Santa Rosa. The Robles family lived at the home, too: Charlie, Cristalyn, their 7-year-old son, Yoehan, and his grandmother, Alicia Tanael. “I need to wake up everybody one by one and put them in the wheelchair,” Charlie remembers thinking. He loaded up each resident, and each family member pushed a wheelchair out to the road. It never occurred to the Robles' to just save their own family. The elderly residents were just as important to them. He Fought So Hard to Fight Fires. Would a Fire Take Him? Embers were flying everywhere, the wind whipping fast, the flames edging just feet from the assisted living home. There was still one more resident left inside: retired Cal Fire Captain Ferrol Mead. 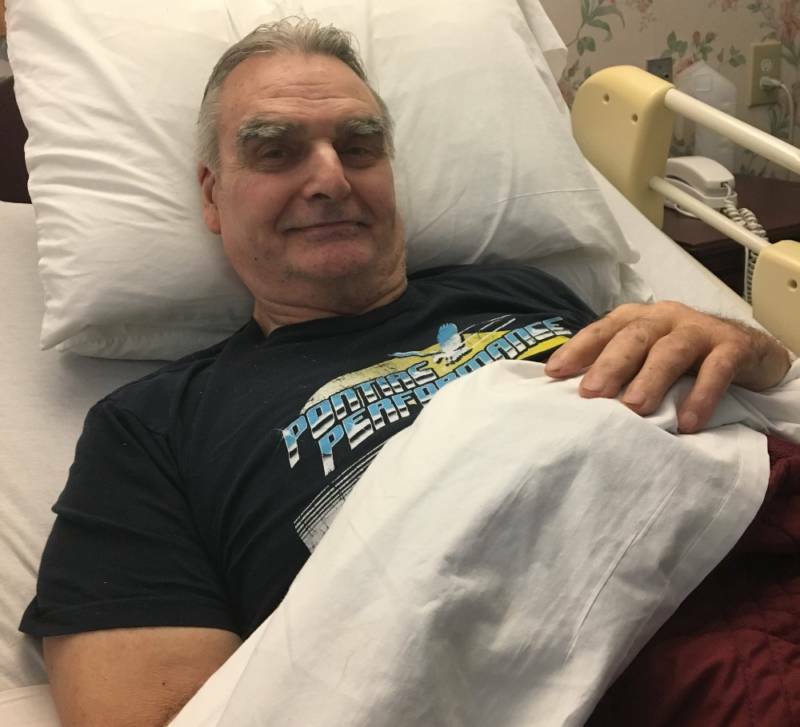 He had worked supervising inmate crews on the fire lines for years, and his job was so physically demanding that he became disabled and had to retire. At 76, he was bedridden, and he'd never seen a fire like this one. So Charlie Robles, a skinny man half the captain’s size, hoisted him into his wheelchair. Then he wheeled him out to the side of the road next to the three other elderly residents lined up in their wheelchairs. The Robles’ car was trapped in the garage, so Alicia and her grandson Yoehan desperately waved down passing cars. One passed but didn’t stop. Then, a mother and teenage son pulled over. 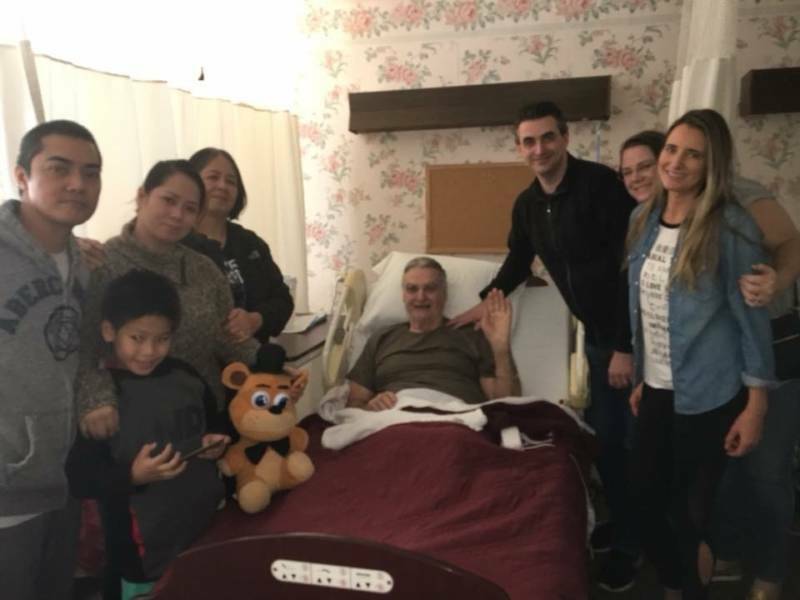 They squeezed all four of the elderly residents, and all four of the Robles family, into their two cars and drove them to nearby Sutter Santa Rosa Regional Hospital. Two hours later, the hospital had to be evacuated too. Across town, Mead’s family — his wife, adult kids, and grandkids — were all evacuating to safety too. Holly Mead, his daughter-in-law, was in a panic, watching the bright reflection of the flames in the windows of nearby houses. “I just remember saying, ‘Oh my God. I just can't believe what's going on.’ And then the explosions. It just really felt like war,” Mead recalls. The Meads all took shelter in different places, but a day later, it hit them: Where was Ferrol? Why hadn’t they heard from him? He had an old flip phone he never used, so the only way they knew to contact him was to call the landline of the care home in Santa Rosa. But the phone rang and rang. Holly Mead called hospitals and Red Cross shelters. No one had any record of Ferrol Mead. Then, they learned his care home had burned down. “I just remember when it was dawning on us that here's this sweet man that worked so hard to fight fires. [The idea that he could] be taken by a fire was just overwhelming for all of us,” she says. Later, the family turned on the local TV news and saw the street where the care home used to be. They saw wheelchairs sitting by side of the road. They took a picture of the screen and looked closer at the image. They recognized Ferrol’s wheelchair. It wasn’t burned or melted. Maybe he had escaped. The sheriff’s department sent out cadaver dogs to sniff the ruins of the care home. Nothing. So the family started going to shelters and evacuation centers. At one of them, they found Charlie Robles, who recognized the Meads. He had been trying to contact them for days, but he only had landline numbers for their homes, which had been evacuated. He told them Ferrol Mead was OK staying at a rehabilitation center in nearby Sebastopol. "When we heard there were four [elderly residents], and there were four family members in Charlie’s family, it just felt like it was their mission, and it was just meant to be," Holly Mead says. "And when we heard that their little son even had to push a wheelchair down the road with embers and smoke, that they rescued these four residents, we realized they would have perished in this fire if it weren’t for the Robles family." "Right Time, Right People, Right Place. They Were Heroes." But the Robles family didn’t feel like heroes. They were left homeless and unemployed. They had lived at their job site, so they had no renter’s insurance, and now, no paycheck. They were sleeping on a relative’s living room floor. The Mead family set up a GoFundMe account for the Robles. It raised more than $25,000. Cristalyn Robles says it’s what helped them rebuild their lives. People brought clothes and toys for Yoehan. Someone offered them cheap rent on a backyard trailer. 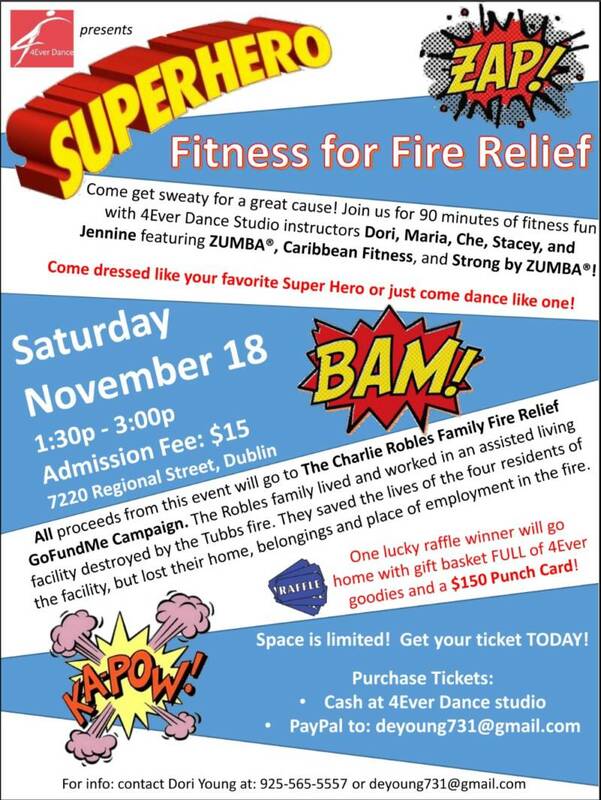 A fitness instructor in Dublin put on a "Zumbathon" fundraiser and invited a fire truck to the dance party. In August, nearly 10 months after the fire, the Robles family found a new care home to move into in Sonoma. They’re back to emptying bedpans, spoon-feeding meals and changing diapers — treating the residents with the same loving attention they’ve always given the people they care for. 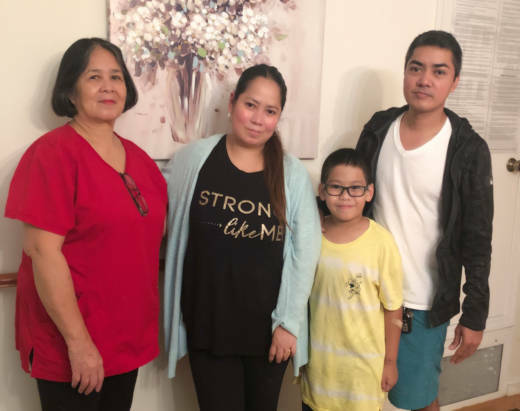 The Robles family visited the other residents they helped escape in the weeks following the fire to make sure they each found a new place to live. A year later, Ferrol Mead, the fire captain they rescued, is living in another care home although he’s frail and in hospice. "He was so thankful to Charlie," says Holly Mead of her dad. "He even said, 'If it weren't for Charlie, I'd be gone. I wouldn't be here.' It was the right time, right place, right people. They were heroes, and we're just so thankful to them for what they did." 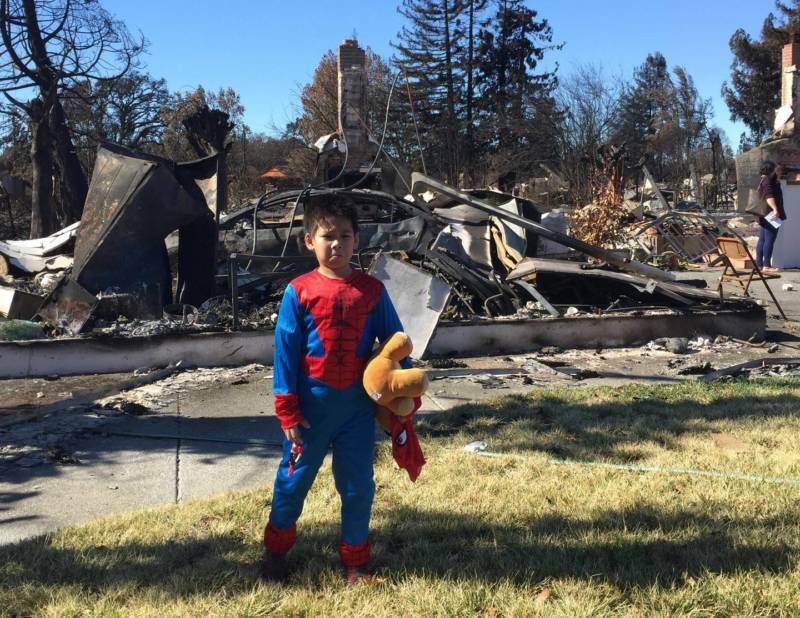 Yoehan, now 8, has been in therapy, working through the trauma from the fires. But things are getting better: the Robles family has a place to live at the care home where they now work. Their biggest concern now? They still don’t know the names of the people who picked them up by the side of the road, rescuing them and the four elderly people in their care. “We didn’t say thank you for everything,” Charlie says.